Click here to sign up to the Mt Buller Stakeholder Notification Service. The Mt Buller and Mt Stirling resorts are managed by Mt Buller Mt Stirling Resort Management, an organisation appointed by the Crown which acts in a council-like capacity, providing essential services to the local community and overseeing public assets and infrastructure. Resort Management operates under the provisions of the Alpine Resorts (Management) Act, accepting directions or guidelines from the Minister for Environment and Climate Change regarding its performance and the discharge of its functions, duties or power. Resort Management responsibilities include environmental management, snow clearing, car parking, day shelters and public toilets, water for snowmaking, slope management, toboggan runs, water for domestic and commercial use, sewerage treatment works, visitor information, road, snow and weather reports, shuttle buses, garbage collection and recycling, Resort administration, Village signage, and Mt Stirling snow clearing, ski patrol and trail maintenance. 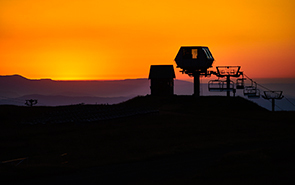 For more about Mt Buller Mt Stirling Resort Management: www.rmb.mtbuller.com.au.